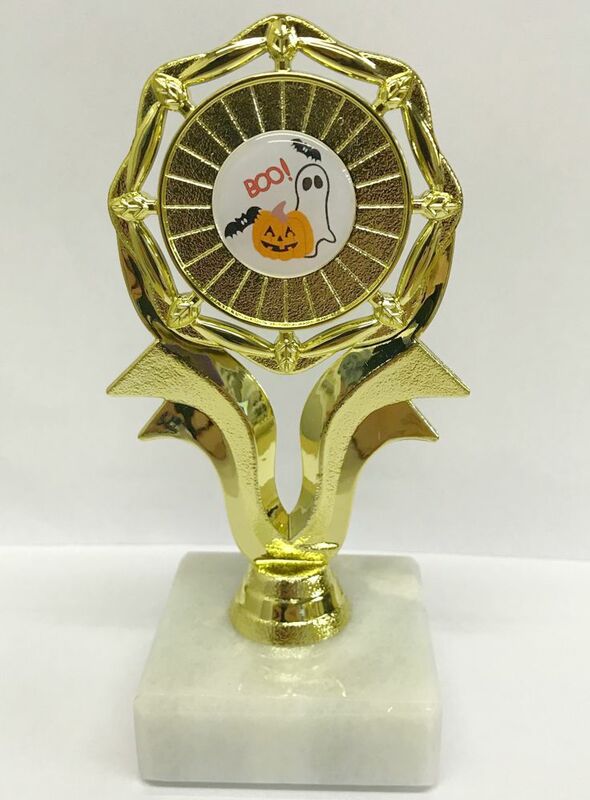 These amazing awards are available in 5 popular designs, Halloween scene, Vampire, Skeleton, Witch and Zombie. 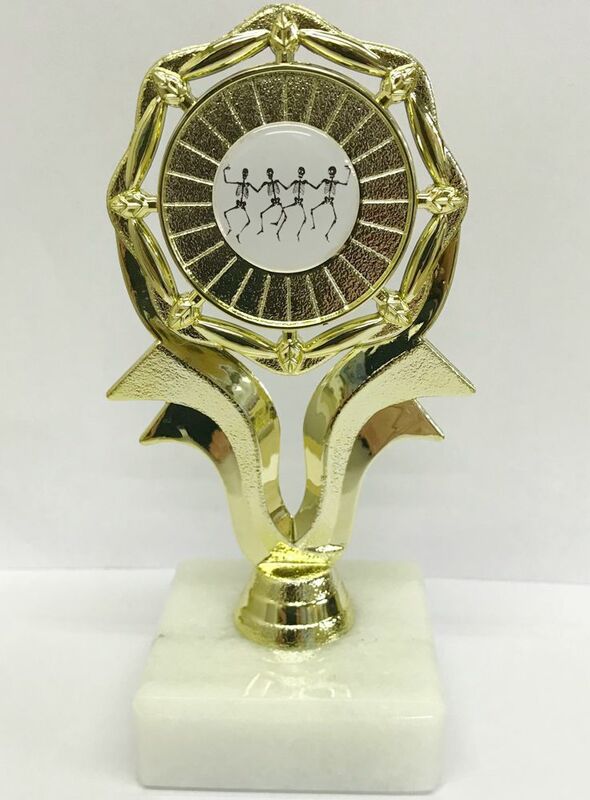 They measure 135mm high and are available in Gold, Silver and Bronze. 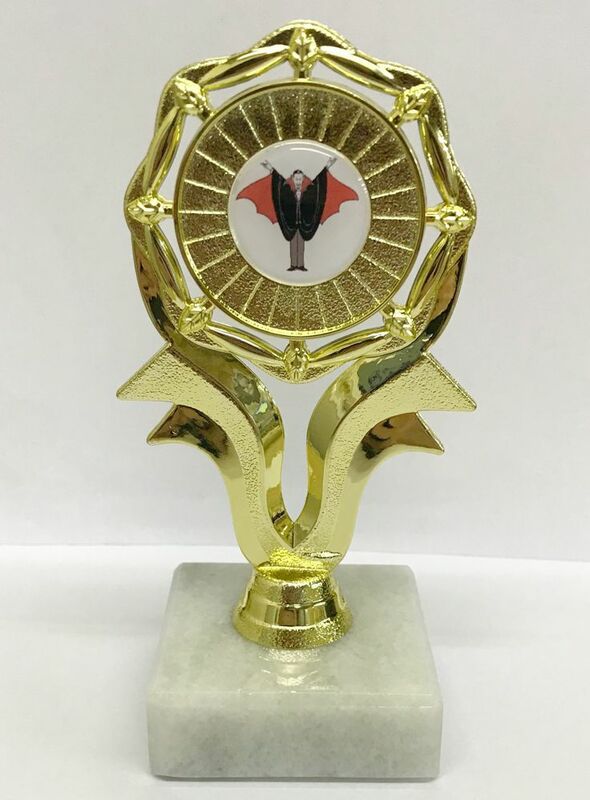 Plastic award on a heavy white marble base. 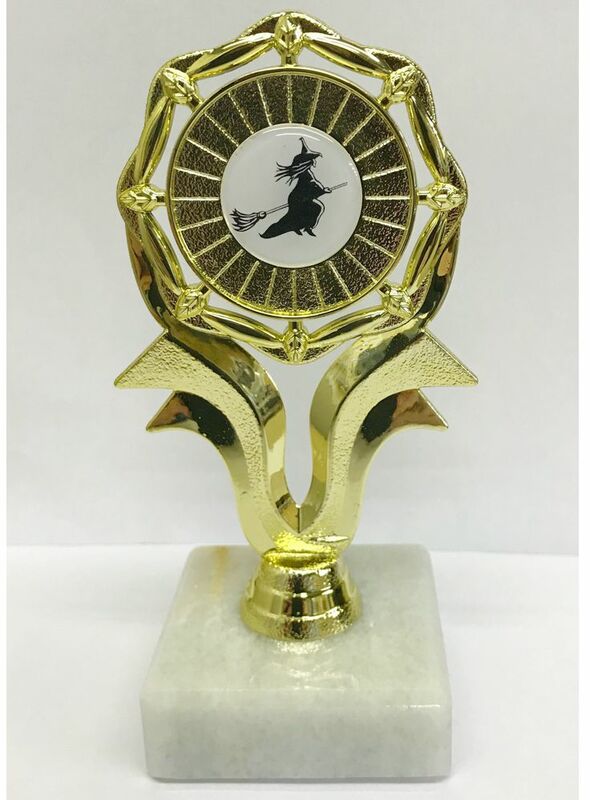 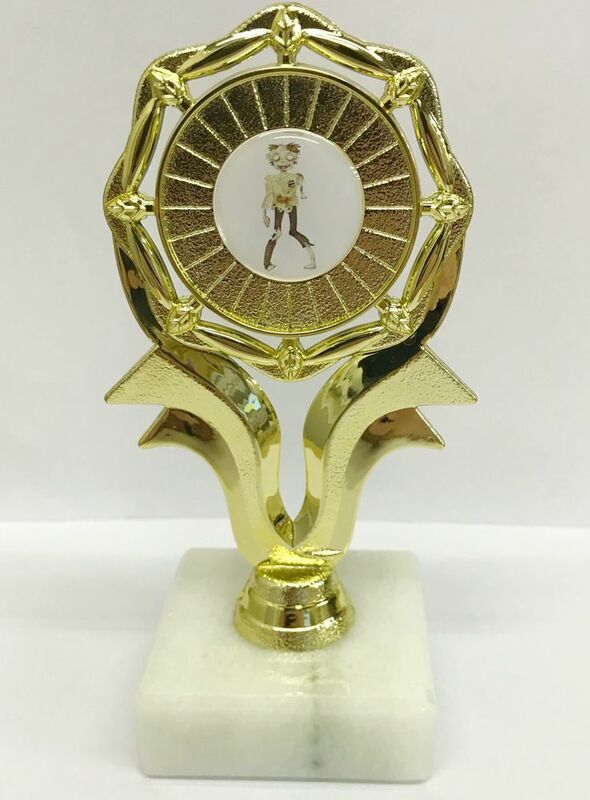 Perfect award for your Halloween party or competition!